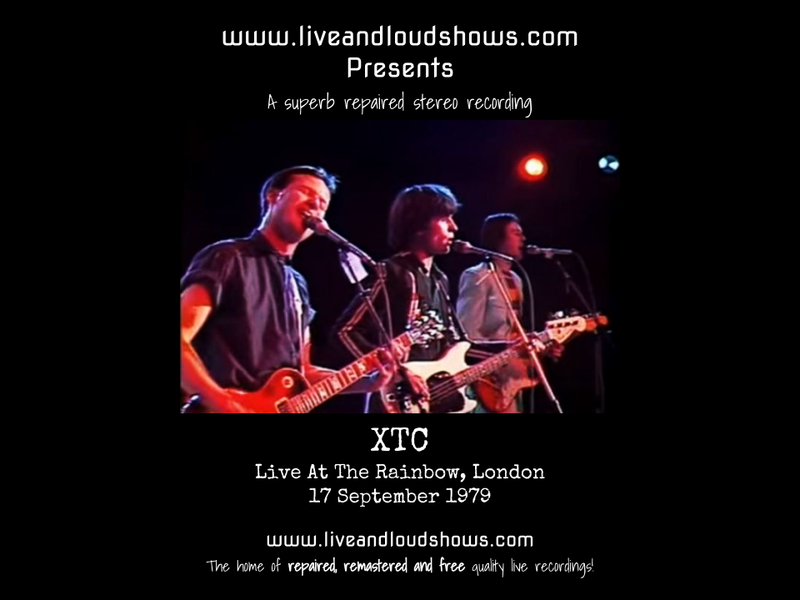 A second show for the archive from XTC, this time from 1979. This was a soundboard recording, ripped from a vinyl copy originally I think. It's a great gig, with a setlist spanning their career to date, from the 3D EP to the recently released Drums and Wires. I removed some vinyl rumble and hiss, as well as evening out the volume between some tracks which were oddly very loud or pretty quiet. Once all that was done, I then set about clarifying the recording with 30 band EQ. Oddly, Battery Brides was far more bass heavy than other tracks - like someone had tweaked it before, or the song had been put in from a different copy of the recording. So that got tweaked separately to more closely match the other songs in the set. You can download all of this improved recording for free here as one 320 kbps MP3 file. Or, if you would like to support the site with a small donation towards storage subscription and internet costs, in return you can have the show as separate, properly tagged MP3s or even lossless files in FLAC format; head on over to the Donations tab to see how you can do this. Either way - enjoy the show! Brilliant! Saw this tour and love the version of Battery Brides, thanks! No probs! 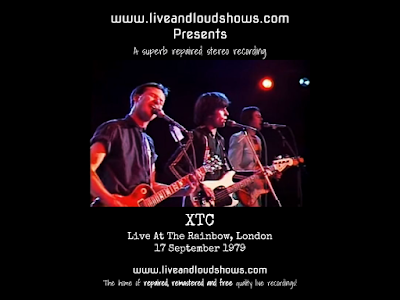 Be sure to check out the other XTC show here if you haven't already.